In our book, chocolate and peanut butter are the perfect pair. So we used this flavor combination to create our sinfully rich recipe for Peanut Butter Hot Chocolate. If you feel the same way we do about chocolate and peanut butter, this drink will not disappoint. Place the frothing disk into the froth enhancer of your Capresso froth TEC and ensure it is securely snapped inside the bottom of the milk pitcher. Add chocolate milk to frothing pitcher. Place lid and press the Hot button. Meanwhile, place peanut butter in a microwave safe bowl and heat for 50 seconds, stirring in 10-second intervals until peanut butter has a liquid consistency. After about three minutes, remove frother lid and add peanut butter. Replace lid and wait for frother to automatically shut off. 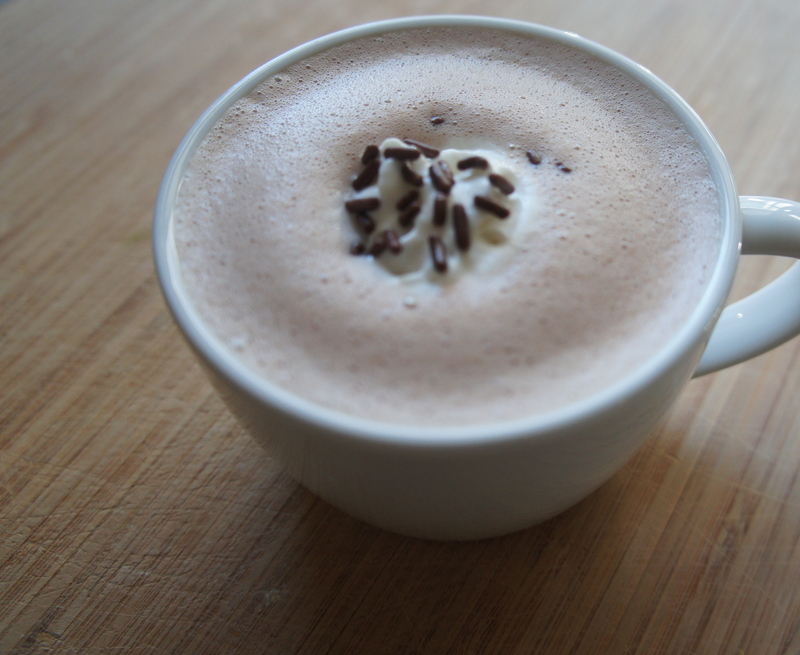 Serve in mugs and top with whipped cream and chocolate sprinkles.